2015 - 2018 TripAdvisor Certificate of Excellence Winner! 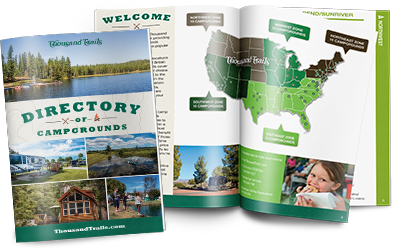 Beautiful scenery and endless recreation are the building blocks of this pristine RV camp in California. Spend a day horseback riding and hiking along our wooded trails, or relax by the fire in our unique cobblestone lodge. For true tranquility, visit our beautiful swimming pool or hot tub. 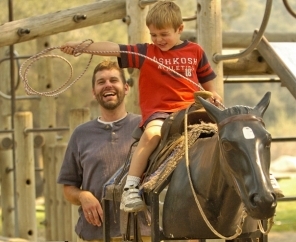 With over 310 acres, Rancho Oso RV Camping offers the perfect outdoor getaway with Western flair. 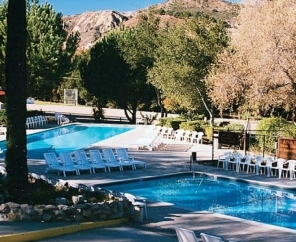 Rancho Oso RV & Camping Resort features several types of campsites. No RV? No problem. 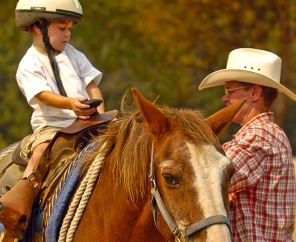 Stay in a cabin reminiscent of an Old West building or a covered wagon beneath the stars. 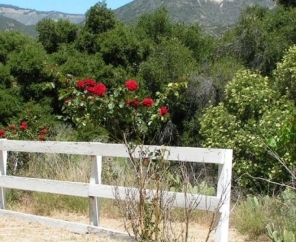 A 30 minute drive to nearby Santa Barbara or Solvang offers scenic views the whole way. 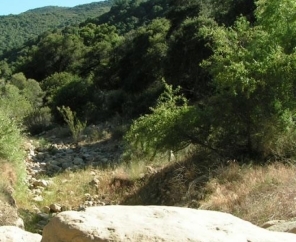 Book your Rancho Oso RV Camping trip to enjoy authentic RV camping today!